I still haven't read this book. I enjoyed Reboot, but didn't love it. I have an egalley of this one, but just haven't had any motivation to read it. Good to know about the plateau and the ending. I'll make sure to push through when I do finally get around to reading it! Oh, SADNESS! I really liked Reboot -- it was just so different and the characters were great -- but I wasn't sure about this one. And I think I'll leave it alone, keeping the warm fuzzies for the first book. 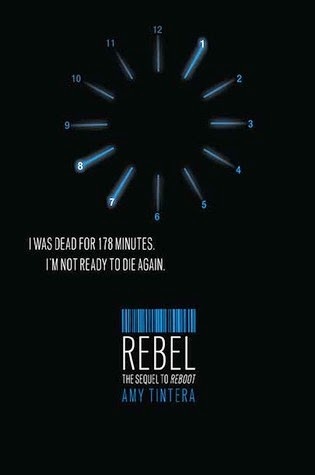 I still haven't read Reboot, but I'm always sad when an awesome book is followed by a not-so-awesome one. I hope the next one blows your socks off!